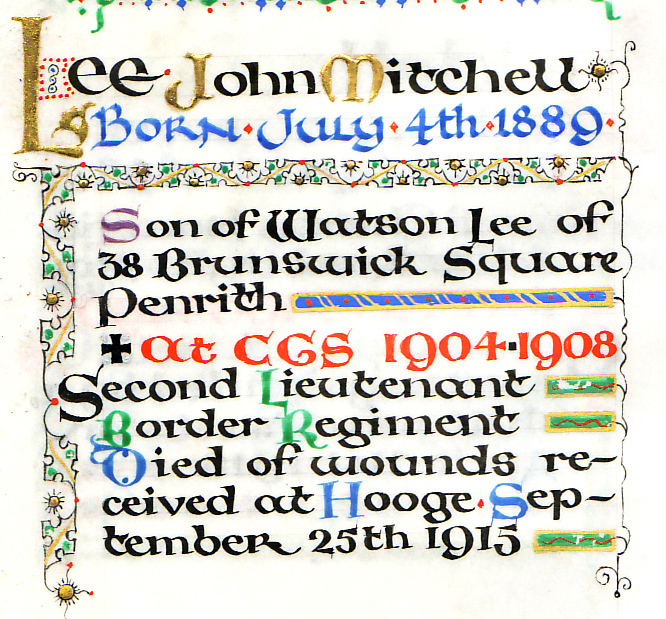 John Mitchell Lee was the middle son of three born to Watson and Jane Lee. His father was a draper at Penrith. His maternal grandparents moved from Leadhills, Scotland to work at Greenside Mines, Penrith where his grandfather was manager. Jack and his brother used to walk to Patterdale from Penrith to see them. His older brother was Wilfred and the younger Norman. Jack was a keen sportsman and won the school medal for sport in 1908. He played on the Rugby team in 1906 and 1907; and in the football team between 1906 and 1908. He was a prefect and won prizes for science and maths in 1908. He graduated from Cambridge University with first class honours in chemistry in 1910. 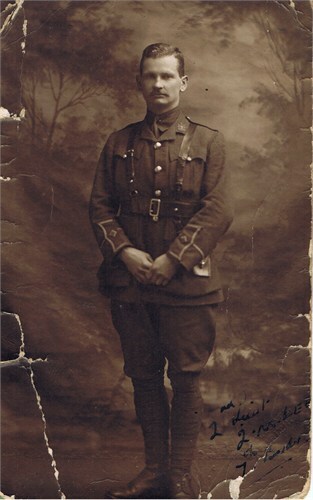 Jack had been in the trenches about five weeks when he was killed.His obituary explains how he was wounded in an attack on the enemy trenches in an action for which he had volunteered. His comrades left him in a shell hole, but the position was later shelled. His body was never recovered and he is commemorated on the Menin Gate. We are fortunate to have a copy of the last letter he wrote home in which he advises his parents to enjoy their holiday and forget about the war. He was engaged to be married when he died. 07.09.1914 Formed at Carlisle as part of the Second New Army (K2) and then moved to Wool to join the 51st Brigade of the 17th (Northern) Division and then moved to Andover. Jan 1915 Moved to Bovington and then Winchester. When war broke out Jack was working for chemical manufacturers in Birmingham. c) Mrs J Ward, relative Jenny Ward. Her husband is the great nephew of John Mitchell Lee.